Privakey has partnered with Raonsecure, a leader in decentralized authentication, to deliver a FIDO2 solution bundled with our secure customer engagement technology. Our joint solution extends the foundation of FIDO password-free authentication throughout the customer experience to deliver rich, multi-channel engagements. From initial authentication to contextual transaction approval, our customers enjoy a seamless experience throughout the customer journey. Designed to work across all channels (even smart speakers! ), we deliver a solution that improves the security and convenience of any customer interaction that requires strong identity assurance. Users enjoy the security and convenience of device based authentication and authorization experiences across all channels of engagement. Users experience a new world where passwords, KBA, SMS codes and other frustrating authentication approaches are replaced with simple biometrics on all devices. Users engage with their banks, healthcare providers and other services where every sensitive interaction is protected by public key cryptography, biometrics and a great experience. Raonsecure is pursuing and holds a number of security technology patents in the IoT / integrated security space. They promote future-oriented technology and products for integrated authentication by combining the next-generation of authentication technology including human/device authentication, security-applied technology, and FIDO (Fast IDentity Online) – based on PKI technology. One of Korea’s leading ICT security software companies – providing a variety of PC and mobile security solutions to financial institutions, government, and enterprise both on premise as well as in the cloud. Raonsecure supplies security products and solutions, as well as ICT security consulting services to more than 500 customer organizations and their products are used by more than 30 million users. Raonsecure joined the FIDO Alliance in 2015 and has served on its board of directors since 2017. Raonsecure’s TouchEn OnePass biometric authentication solution was among the first group of certified FIDO 1.x and FIDO2 products. Since 2015, it has deployed FIDO biometric authentication platforms for numerous banks and financial services institutions as well as for government. TouchEn OnePass is a biometric authentication solution for a variety of authentication use cases that require security and convenience: it is perfect for payments, mobile banking, shopping, game networks, and fintech services. Strong security complying with the certified FIDO standard. A user’s biometric information is encrypted and stored locally in a secure element located in the mobile device’s hardware. No biometric information is ever transmitted or stored remotely. Even if the mobile device is lost or stolen, the user’s biometric data cannot be accessed or used by others. The OnePass Server supports both FIDO 1.x and FIDO2 and includes extended features for a Relying Party. Web-based administration console provides unified and robust user/authenticator/policy management. 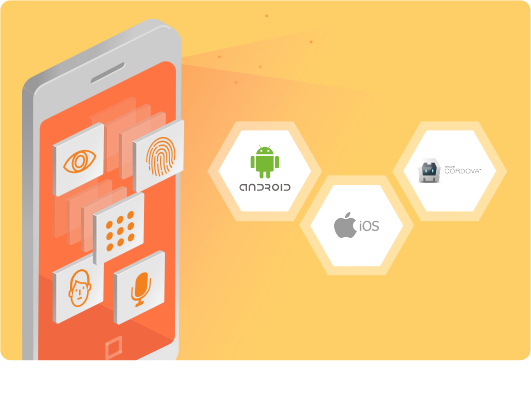 Raonsecure’s TouchEn OnePass is available as an SDK for Android, iOS and Cordova. It can be incorporated to add FIDO biometric authentication to your own app, or it can be deployed as a standalone authentication app for a web service. Our proprietary authenticator API allows you to easily adopt a variety of FIDO-certified biometric technologies including: voice, face, signature, palm, iris and others. Raonsecure offers a FIDO authenticator in a convenient and secure USB format. 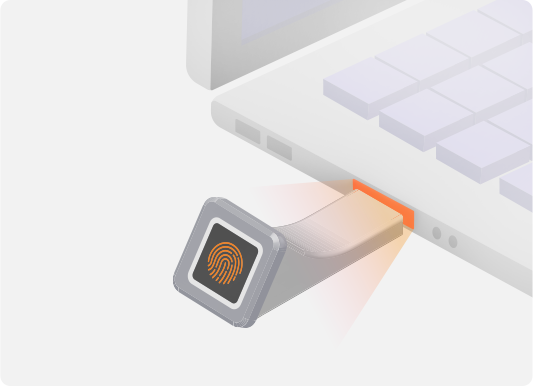 It adds additional secure elements and fingerprint capability to a notebook or PC that does not natively support fingerprint biometric authentication. TouchEn OnePass USB Authenticator uses the MS500 security processor by eWBM, which allows you to safely store a FIDO security key as well as a user’s fingerprint template. 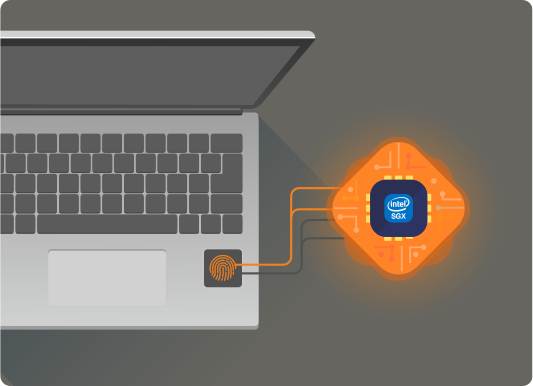 Compatible with Windows and MacOS, organizations can provide additional security for logins and authentication at user’s home or at work, even for older PCs and laptops that lack biometric security natively.